Help Expose Big Campaign Money! The Club recently endorsed support for the Disclose Act that seeks to mandate clear and prominent disclosure of who is behind political TV, radio, print, and slate mailer ads, on the ads themselves. In California AB 1648 will stop special interests from hiding behind fake committee names by requiring ads to show their actual largest contributors. 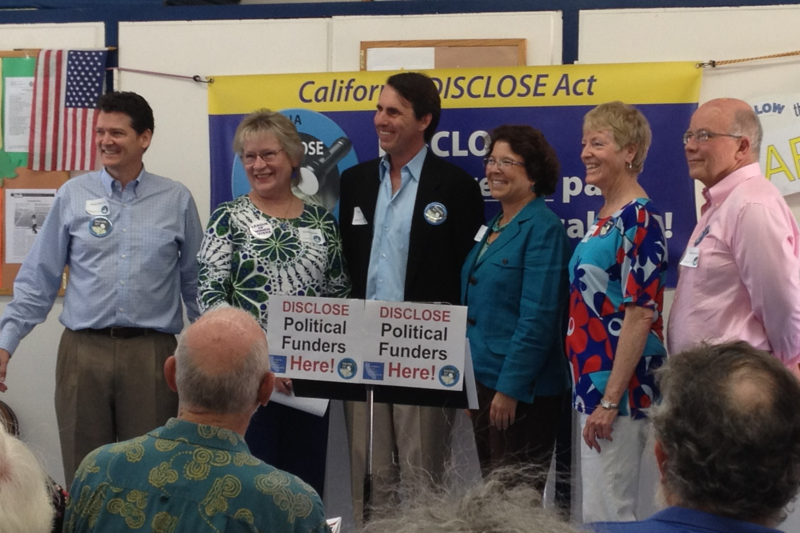 The California Clean Money Campaign is a non-partisan, non-profit 501(c)(3) organization whose vision is to achieve an open and accountable government that is responsive to the needs of all Californians by building statewide support for full disclosure and public funding of election campaigns. All our support comes from individuals and non-profit foundations, with no funding from corporations or unions. Great idea, great campaign…something we can all do to help fight the ravages of Citizens United.